Few small businesses want to make a quick buck. Most of them are in it for the long term. To be efficient enough mobile CRM is a must & you should look closely into Mobile CRM features if you are investing in one. But most businesses don’t just want to survive, they want to thrive. They want to make a difference, provide more employability and generate profit in the process. To thrive, a small business also needs to be productive. As renowned entrepreneur Marc Andresson once wrote, things somehow happen even if most people don’t work in a large corporation. But in a small business or startup, people have to do things to make things happen. That’s why a small business has to increase its productive to remain profitable in the long run. Here are 10 ways in which a small business can improve efficiency using Mobile CRM Features. Revenue lies at the heart of every small business. To generate this revenue, a business needs to manage its leads effectively and eventually sell to most of them. But if these leads are maintained in diaries, Excel spreadsheets or “the mind,” converting them becomes a difficult task. 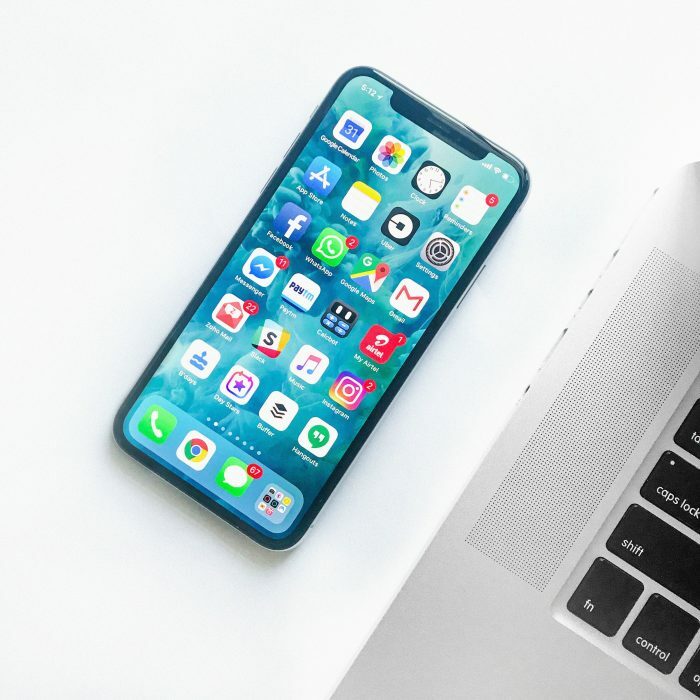 A mobile CRM is an effective tool for small businesses to collect and manage their leads from various platforms like social media, Instant Messaging, exhibitions, sales and more. Once these leads are collected in a single place, they can be assigned to individual salespeople. This means leads don’t just get used but also optimized. Most businesses traditionally try to grow by focusing on customer acquisition. While this is useful, small businesses often end up ignoring delivery in the process. This means customers don’t have a positive experience and end up switching to the competition, which negatively impacts a business’ revenue. A business that prioritizes customer retention over acquisition reduces marketing costs in the long run, and its customers are also ready to pay a premium for its services. To achieve this, teams can use a CRM application to whether orders are getting fulfilled and issues are getting resolved. The more a business retains customers, the more profitable it becomes. To be able to fulfill customer demands, team members in a business should know their roles and responsibilities. Merely telling them to achieve results without showing them how is not a practical way to work. Business leaders should set processes and systems for their people to follow and educate them about the expected timelines to complete their tasks. This ensures that people don’t work on tasks in a haphazard manner. Instead, all team members work on tasks that benefit the organization. Setting processes and educating team members about them is just one part of the job. The other part is to track whether people are doing what’s expected from them within the expected timeframe. A mobile CRM is a handy tracking mechanism to achieve this. As a leader, you must conduct periodic reviews to track your people’s performance, give them feedback and address their challenges and ideas. When people feel heard, they perform better at work. When you take care of your people, you can track their performance and retain them for longer. This directly impacts your revenue and profitability and improves the experience customers have with your business. Focus on your team members and processes, and they will take care of your customers. Customers now rely heavily on their mobile devices for everything. This power at their fingertips has increased their expectations of service. If businesses want to retain their customers, they must embrace the mobile trend. Mobile CRMs ensure that team members don’t have to stay limited to office to provide customers with a positive experience. They can do so from any location and provide real-time information and service to customers. This enhances productivity of team members by up to 24%. Mobile CRMs also enable you to keep track of real-time events at the workplace regardless of your location. The best time to adopt a mobile CRM was six months ago. The next best time is now. Without a focused goal, your employees will not stay efficient. If the goal is not clearly defined for them and is not achievable, employees will not hang around. Give your employees focus in form of clear and narrow assignments. Let them know exactly what you expect of them, and tell them specifically what impact this assignment will have. One powerful way to achieve this is to set “SMART” goals – Specific, Measurable, Attainable, Realistic, and Timely. Before assigning an employee a task, ask yourself if it benefits the company and fits each of these requirements. If not, ask yourself how the task can be tweaked to help your workers stay focused and efficient. Many businesses commit the blunder of falling in love with their product. When the product becomes obsolete because of a better option in the market, such companies remain adamant and stick to their products. As a result, they lose market share and profitability until it becomes unsustainable to continue the business. Focus on your customer, not your products. The better connected you are with your customers, the more you can identify changing trends in the market and be prepared to cash in on them. Keep in touch with customers who purchase in large volumes from you to have a pulse of the market. And when you see the winds changing, adjust your sails to go with it instead of resisting change and putting your business in a tough spot. The best way to motivate employees is to reward them for their performance with relevant rewards. Making your people feel appreciated for jobs well done will encourage them to continue increasing their productivity. Many small businesses commit the mistake of “rewarding” high performing employees with more work. This is not a reward. Instead, it soon turns into a nightmare that either makes their productivity dip or makes them leave the company in frustration. So when you’re deciding how to reward efficient employees, make sure to take into account their individual needs or preferences. The world is evolving. To keep up with this evolution, your people don’t just need to know what’s new in the market, but also stay updated with the latest technologies and skills to stay relevant. Make your people undergo trainings for CRM and other digital platforms. Encourage them to learn something new consistently. The benefit of this is that when you introduce a new software or technology to improve performance, your people will gladly adopt and use it instead of resisting. For instance, highly efficient organizations use CRM tools up to 81% more than the rest. Helping your people expand their skill sets will build a much more advanced workforce, which will benefit your company in the long run. Technology might seem like something you don’t have resources to spend on right now. But it’s actually an investment in the long run. It will work to your advantage. So, before vetoing an apparent misuse of time, ask yourself how this could possibly benefit your company with the above mentioned Mobile CRM features. Invest in a mobile CRM software now and save your company – and your employees – countless hours down the road. From automated lead management to sales, delivery and dispatch and complaint handling, embracing technology will improve efficiency, reduce frustration, and help your business grow. We hope the takeaways from this article of Mobile CRM features enable you to improve your business efficiency and effectiveness. Applying them will make sure that the number of hours you and your people invest at work will lead to results that will enable you to stay ahead of competition at all times.